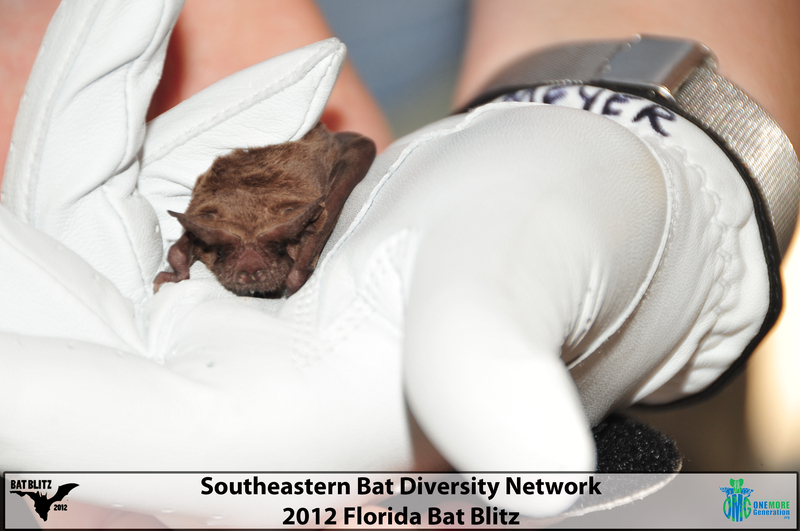 Many people don’t realize the important role bats play in our ecosystem. Olivia and Carter understand their purpose and are always looking for ways to raise awareness of our obligation to save these amazing animals. This year OMG founders Olivia and Carter were invited to speak at the event to some of the many visitors and help them understand the need to get involved with trying to help save bats all across the United States. 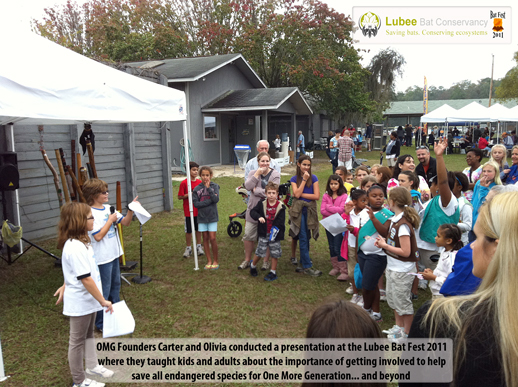 Recently Olivia and Carter were invited to be guest speakers at the Lubee Bat Conservancy 2011 Bat Festival. The Bat Conservancy is an international non-profit organization dedicated to protecting biological diversity through the conservation of fruit bats. They work with other organizations (such as OMG) to save fruit bats and their habitats through research, conservation, and education.